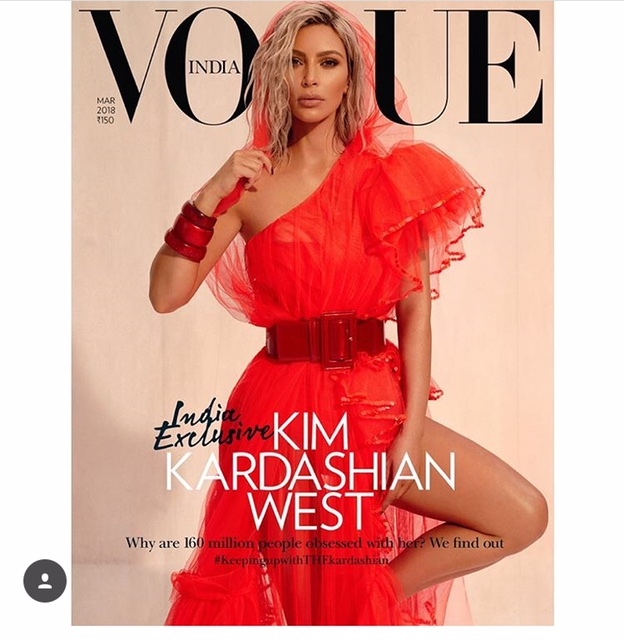 Kim Kardashian is doing double duty for VOGUE India. The reality star is covering not one but two versions of the March 2018 issue. Though she’s rocking pink hair at the moment, Kim K.is wearing her hair in a wet and wavy style for the covers. Inside, the magazine dives into how her show, “Keeping Up With the Kardashians” is still ratings gold. Posted on February 28, 2018, in ENTERTAINMENT NEWS. Bookmark the permalink. Leave a comment.